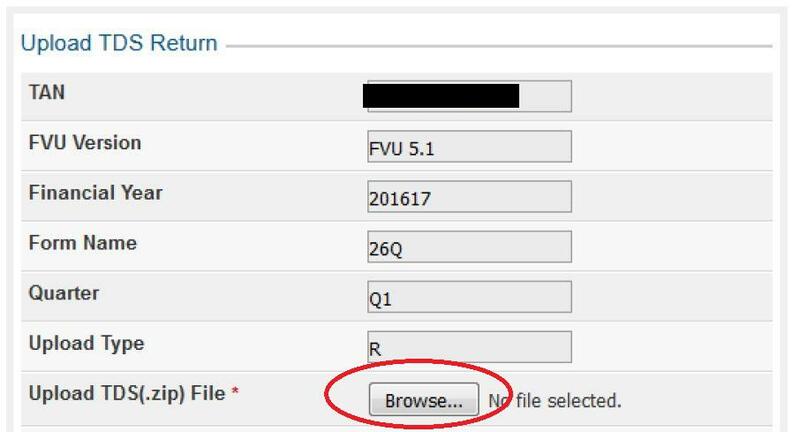 Sometimes navigating and uploading a TDS return on the TRACES portal can be difficult for some of the taxpayers. Complying with the data procedure too has been found tedious by many. Therefore, to ease the process the income tax department has provided for uploading the return on their own website, which we cover in detail in this article. Before you start uploading the return, you must ensure the following. Step 1: Go to http://incometaxindiaefiling.gov.in/ and click on ‘Login Here’. 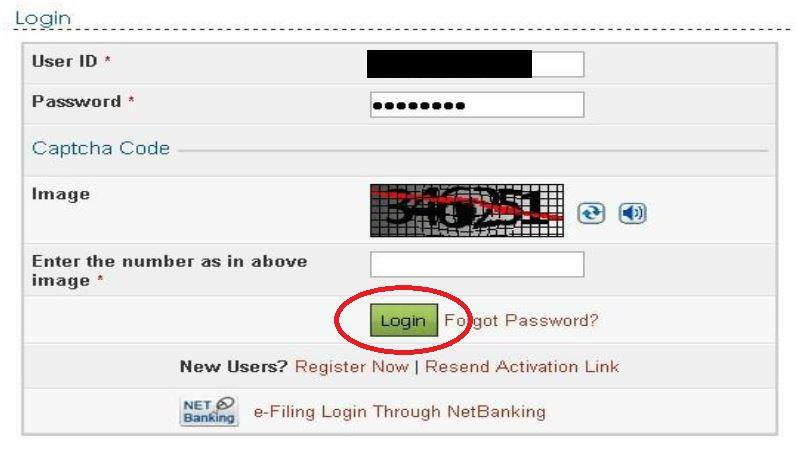 Step 2: Enter your login credentials and click on ‘Login’. Your user ID will be your TAN. Step 3: Once you’ve logged in, click on the ‘Upload TDS’ option under the TDS tab. Step 4: You will be provided with a form where you will need to select the correct details. 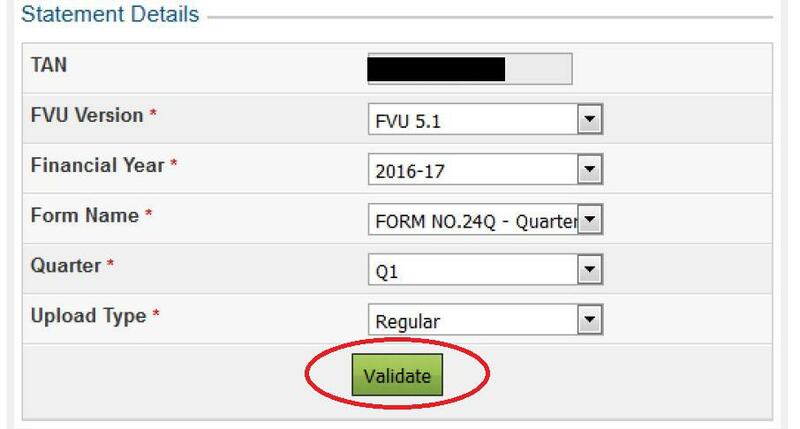 Once the details are selected, click on Validate. Note that TDS statements can be uploaded only from FY 2010-11 and only regular statements can be uploaded on the income tax website. Step 5a: Validate using DSC or Digital Signature Certificate. The TDS statements can be uploaded using DSC. 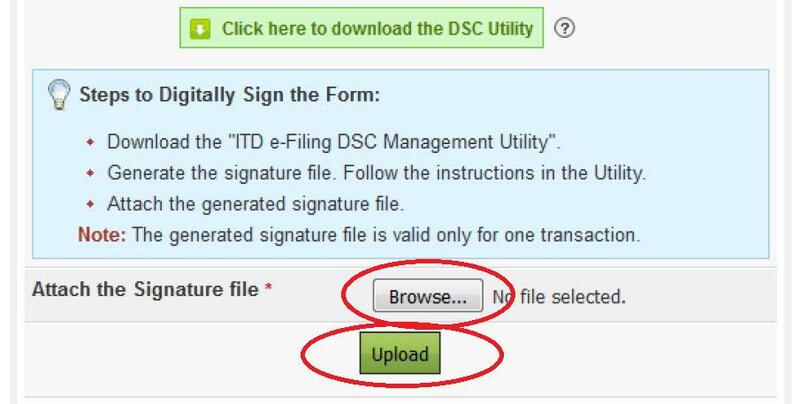 To upload using DSC, first upload the TDS zip file and also attach the digital signature file. Then, click on Upload. Step 5b: Validate using EVC or Electronic Verification Code. After step 4, if you haven’t generated a DSC, you will be able to validate the TDS statements using an electronic verification code (EVC). 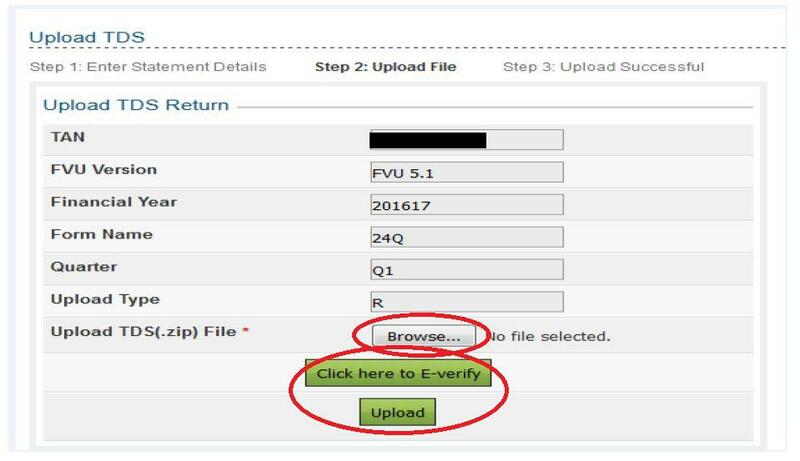 Upload the TDS zip file and click on ‘Click here to E-verify’. The next screen will give you the option to use an EVC already generated or generate a new EVC. Select the relevant option, enter the EVC and click on ‘Submit’. For any further queries or help, reach out to us at tds@cleartax.in.